It’s a grind, but it’s kinda supposed to be. In a recent interview with Akshonesports, former LA Guardians DPS player Ted “Silkthread” Wang spoke about how the schedule for the first season of the Overwatch League, saying that the schedule was tough on the players. In his words, it was rough having two matches and a week off once every five weeks. This also seems in line with an interview Houston Outlaws Support player Shane “Rawkus” Flaherty gave to USAToday, saying that he’d prefer to stagger the schedule, giving teams two games on one week, and only one on the other. This would eliminate eight games from the schedule, just under 1/4th of the schedule. This thought seems to permeate through the league, as seen with another USAToday interview when the League’s PR team told the interviewer to direct all questions about burnout to them. 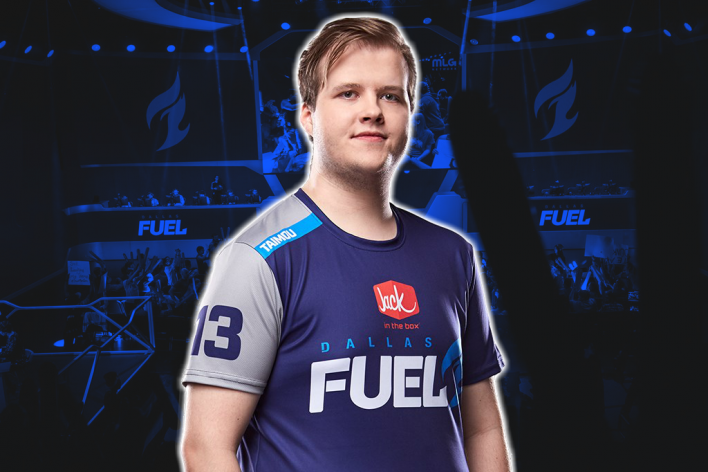 Timo “Taimou” Kittunen was one of the first players to speak on burnout even before OWL. Around the beginning of October, Blizzard announced changes to the schedule of OWL season two, bringing less games to cut down on player burnout, accommodate the new teams, and discard meaningless games. These changes are, cutting the season to 28 games, moving the all-star game to the middle of the season to give players a bigger break and giving bye weeks to teams. From a team perspective these changes sound great. From a competition perspective not so much. “Poppycock”! You say? Well gimme a second fam, I’ll explain myself. I’m fine with shortening the season a bit, but losing 12 games from the season is just over where I feel they should be. Not that I think that the league should keep 40 games though, with eight more teams joining the league the schedule would be too bloated.With twenty-eight games, there is no way to determine who was better over a long period of time. Any team that gets hot on the second half of the season has the greatest chance to win. Thirty to thirty-two games with a bye week is more around the perfect area. These games would would give teams two matches a week with a week of rest every stage. I would also love to see the teams play each other in a series those weeks, similar to baseball. The narratives and rivalries that could be built from the games being a series rather than one-offs would be amazing. The “Battle for LA” between the Gladiators and Valiant could happen on Friday and Saturday with the potential to split the games and have to be settled either in the stage playoffs or next stage, making viewers yearn for more. Making the games be series would also help the problem that many players have complained about with not having enough time to prepare for opponents. The quality of games would increase dramatically, with extra preparation comes set plays and starting lineups built specifically for opponents. For a good example of higher play coming from having more prep time, you could take a look at the playoffs in June. Teams knowing that they only have to prep for one opponent at a time will be great for viewers as the quality of those games will increase dramatically. You could expect more plays like this if teams didn’t have to prepare for two opponents. I haven’t heard much from players about how they feel about the new schedule, in fact, if you are a current player; feel free to reach out. But I feel as though the silence seems to present the thought that they are liking it more than the previous season’s. I just don’t think it is as sound as it could be. While the old schedule was a grind, I do feel that a full league should be a bit of one as it’s supposed to test not only who is the best game to game but also who can stay at the top of their game late into a season. Maybe I’m just old school in that way. I guess we’ll see how it works out when season 2 of Overwatch League starts. Any feedback is appreciated! Lemme know how you feel, you can get in contact with me on Twitter @NoOneLovesGary!